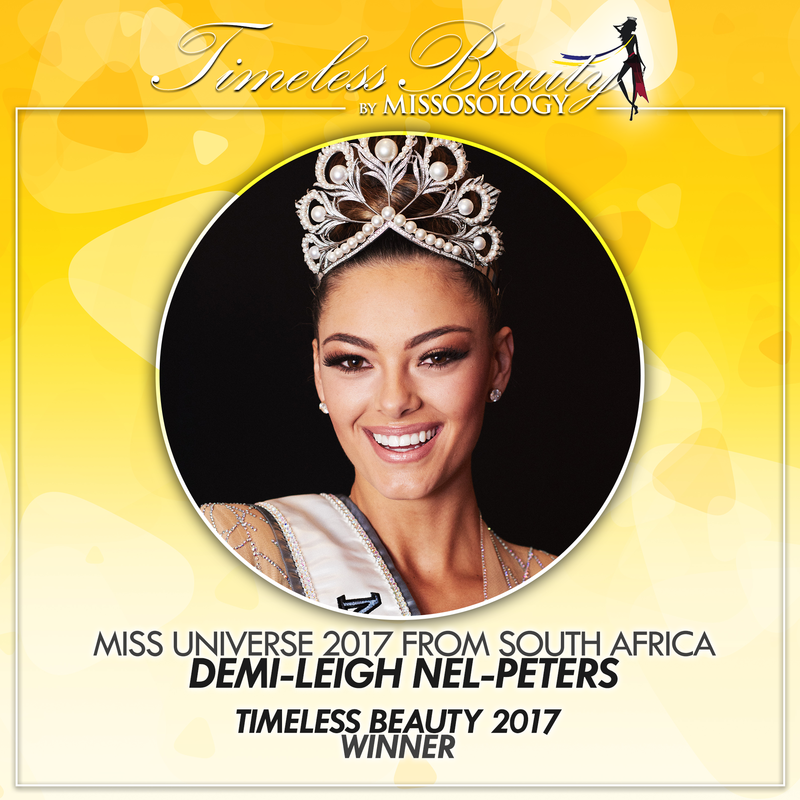 WITH A final score of 4.408, our Timeless Beauty 2017 winner is Miss Universe 2017 Demi-Leigh Nel-Peters from South Africa. Demi is the first from the African continent to be proclaimed Missosology’s Timeless Beauty. 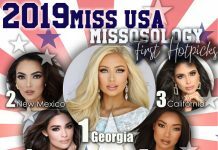 She is also the second reigning Miss Universe to win the title, since the award was formally organized by Missosology in 2010. Aside from that, Demi broke her country’s title drought in Miss Universe, winning the crown for the first time since 1978. During the Miss Universe finals, Demi was just perfect in every way. A far cry from her disappointing prelims performance, Demi was styled perfectly. She’s a Hollywood beauty and very supermodel-like. Despite being the shortest in the Top 5, Demi stood tall like a glamazon and breezed through all rounds, especially the all-important Q&A. “As Miss Universe you have to be confident in who you are as an individual. A Miss Universe is a woman that has overcome many fears and by that she is able to help other women overcome their fears. She is a woman that nothing is ever too much is asked for and that’s exactly who I am,” uttered the South African queen. Her words will be etched forever as one of the best answers in pageant history. 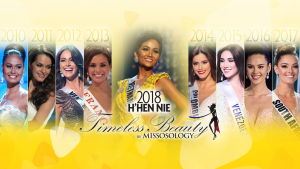 Missosology would like to thank all of the judges who took part in Timeless Beauty 2017: our forum members for the quarterfinals; admins and global correspondents for the semifinals; and our finals judges – Katherine Espin (Miss Earth 2016), Paul Iskandar (Mister International 2016), Tinh Ngoc Truong (Manhunt International 2017), Paulina Malulu (owner of Miss Republic of Namibia and former Miss Universe, Miss World, Miss Earth and Miss International Namibia), Bayra Bela (Former Miss World and Miss Earth Mongolia), Eunice Onyango (Former Miss Internationa Kenya), Cristhian Puesan (national director of Miss Universe Haiti), Steven Haynes (national director of Miss Supranational Japan), and Donald West (owner of pageantopolis). 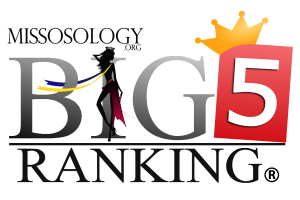 Also, to the thousands of pageant fans who showed their support for the 2017 Big5 queens.